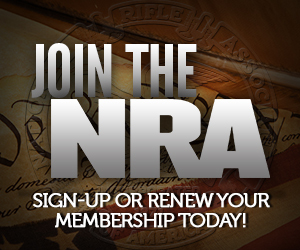 Pistols shall be semi-automatic, recoil-operated, magazine-fed, and striker-fired. I thought semi-automatic weapons only belonged on the battle field? Class I magazines shall hold a minimum of 14 cartridges. Class II magazines shall hold a minimum of 16 cartridges. But I thought these dangerous high-capacity magazines were weapons of war only suitable for mowing down school children, and are thoroughly unnecessary for self-defense? Law enforcement isn’t just demanding a maximum of 10, it’s saying their minimum is 14. The pistol shall fire with the magazine removed and a live round in the chamber. Pistols shall not have a magazine disconnect which prevents the firearm from firing when the magazine is removed from the pistol. Why do law enforcement and military leaders hate their own children? Pistols shall not have a manual external thumb, finger, or grip-actuated safety device. 4.18.1 Pistols shall have an integrated “lock-out” security device as a permanent part of the pistol that disables the firing mechanism except when in the control of authorized individuals. 4.18.3 The security device shall include a programmable authorization system that can be set to allow one or more operators to fire the pistol. 4.18.4 The security device shall not inhibit the operator from firing in either hand, one-handed or two-handed, with and without gloves, in any orientation. 4.18.5 The security device shall not alter the normal operation of grasping and firing the pistol as a pistol of the same design that is not equipped with the security device. 4.18.6 The security device shall not increase the time required by the operator to grasp, draw from a holster, and fire the pistol as a pistol of the same design that is not equipped with the security device. 4.18.7 The security device shall not emit audible sounds or visible signals. 4.18.8 If the security device may be susceptible to electromagnetic interference, either intentional or unintentional, the device shall be equipped with countermeasure detection technology that permits the operator to fire the gun when an attempt to block the authorization process is detected. 4.18.9 The security device shall covertly indicate when the pistol is ready to fire. 4.18.11 Low power to the security device shall be indicated covertly with sufficient time to safely take action. 4.18.12 If the security device malfunctions, it shall default to a state to allow the pistol to fire. 4.18.13 The security device should be easy for an operator to quickly reset or disengage if there is a malfunction. 5.2.1 Pistols shall exhibit a mean overall malfunction or failure rate of no greater than 1 in 2,000, or shall exhibit a mean rounds between failure of no less than 2,000. 5.2.2 Pistols shall be durable and exhibit no failures due to wear or damage for a total of 10,000 rounds. Parts may be replaced in accordance with the manufacturer’s specification for regular preventative maintenance. The replacement of parts per the manufacturer’s maintenance schedule does not constitute a parts failure. This durability specification also applies to the security device on the pistol as well as any periphery devices that may be required to be used with the security device. Basically, if it’s not very Glock-like, in terms of design, operation and reliability, law enforcement doesn’t want it. Keep this in mind, folks, when the gun control crowd insists that civilians accept far far less than this. The reason they will insist that we accept less is because this specification is not possible to meet with any existing technology. If you’ve been following Tam’s 2k round tests, I don’t believe even Glocks will meet the 99.95% success rate with commercial ammo, today. OTOH, she’s been shooting whatever’s been handy, in guns that interest her. That right there. No compromise. That is the most hilarious part of the specifications as it basically means all the rest of the “smart” part, isnt. … who, by definition, operates operationally in operational operations. How, precisely? The only viable method I imagine is some sort of tactile indicator (the rules forbid visible and audible indicators, and it’s reasonable to rule out the senses of taste and smell), which may or may not be detectable while wearing gloves. So… user must be able to maintain and/or override it in the field, and it must “fail closed” in the event of malfunction or interference. There’s nothing at all preventing LEOs from letting the batteries run down — thereby effectively disabling the “smart” safeties — so that it operates as a normal, non-“smart” pistol. Again, how? See above about tactile indicators and gloves, since visible/audible indicators are forbidden. And who defines what amount of delay constitutes “sufficient time”? And you have an expedient way to turn the smart gun into a normal gun just by removing the user accessible batteries. It really looks to me that the design requirement is “add another layer of retention to the gun” not “make the gun secure”. Even assuming that you could meet this requirement the only thing it will do is add a few moments between a thug getting control of the gun and the thug using the gun to shoot the officer. The req basically reads as an electronic retention holster. How long before there is a line drill for dropping the batteries and firing the gun? The requirements were written by potentially-actual users? And a “better” retention holster isn’t the worst thing in the world. Still an enormous amount of complexity for a minimal gain. Nice of them to lay it out like that, though. Aren’t most police killed by their own weapons shot in very close proximity? ex. : “Drunk guy manages to fumble your gun out of your holster while you buckle him into the back seat”? An RF ring worn on your right hand with enough range to let you fire the gun left-hand-only wouldn’t prevent any “retention-range” shootings. I was not saying current tech could fill the req, I was just commenting on what the req actually boiled down to in actual practice. It is not the built in gun safe that the anti-gun people claim it is, it is more of a glorified retention device that could be easily defeated once you have control of the weapon. Massad Ayoob has a revolver that will only fire with a magnetic ring. Also, Smith & Wesson have a semi-automatic pistol that won’t fire if the magazine is removed, even with a round in the chamber; apparently, there have been times when someone tried to take the officer’s gun, but in the process managed to eject the magazine so that it became inoperable by the person taking the gun. Crap. 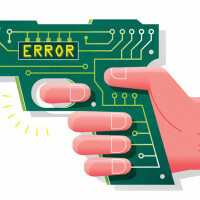 Since the pistol is ultimately mechanical, any electronics can be mechanically bypassed. Their point is to pass on huge cost increases to legitimate gun buyers, while patting themselves on the back for the good work they’ve done, while accomplishing nothing that criminals can’t work around. Smart guns are so stupid that they can only be marketed by calling them smart, but contradicting their dysfunctionality with slick marketing may work in the minds of Shannon Watts and her ilk, but gun buying America voted Trump, and we ain’t buyin’ it. Of course, these are just the requirements for LE. The civilian models will require a unique 15 character passcode that must be changed daily and must include Upper and lower case letters, numbers, special characters and Mandarin Chinese symbols. I note that the Brady Bunch did NOT link to the actual specs in their email praising this to high heaven. I think the “failsafe = able to fire” renders it impossible to meet the standard on a fundamental level. If some engineering whiz would like to prove me wrong, though, I’m all ears. I’m always interested in better ideas. Please just let the marketplace figure it out, though. It’s not “fail safe”, it’s “fail dangerous”. All of the “smart gun” proponents want the “smart” guns to be rendered inert if they don’t authorize. These specs are the exact opposite. The gun must default to “dumb” mode if the “smart” side gets too confused. Which means that if the batteries die, the ring isn’t near it or the watch is on the other wrist and little Tommy finds Daddy Officer Friendly’s “smart issue pistol”, little Tommy still becomes a statistic. And then anti-gun people will start screaming about the “loophole” in “smart gun” laws and regulations.